What is the Life Span of a Commercial Air Conditioner? Blog What is the Life Span of a Commercial Air Conditioner? The summer is just around the corner and the last thing you need for your commercial business is an air conditioning break down. Many business owners go into this season hoping that their commercial air conditioner will hold on for just one more year. So it begs the question, what is the lifespan of a commercial air conditioning unit? Under normal conditions, a commercial air conditioning unit can have a lifespan of up to 20 years. It is important to note, however, that a number of conditions can negatively impact the lifespan of a commercial air conditioning unit. Some of those factors include neglecting to maintain the unit properly, quality of the unit, incorrect installation, and poor operating conditions. Let’s take a closer look at the issues that impact an air conditioning unit over its lifespan, and what needs to be examined when considering replacing a commercial air conditioner. There’s a large variety of commercial air conditioning units available for purchase. It is important to do one’s research and understand that the one they are purchasing, or have purchased, is a quality one. Look at online reviews and the reputation of the manufacturer. A factor that is equally as important is the installation of the unit. Poor installation can cause a unit to overwork which can reduce its lifespan. Look for a reputable company with strong online reviews that is certified to work on commercial units, not just residential units. It is critical to know the age of your commercial HVAC unit. There is a substantial difference between a unit that’s 5 years old and 25 years old. If you find that your unit is over 15 years old and that the cost to service the unit is high, it is likely time to invest in a new commercial HVAC unit. Proper, consistent servicing of a commercial air conditioning unit is critical in extending its lifespan. Neglect is the number one factor in reducing the lifespan of a unit. This cannot be overstated. Finding a reputable commercial HVAC company to service your unit consistently will save you time and money in the long run. If you feel that this is an area that you’ve neglected in the past, contact a commercial HVAC company to do a full assessment of your unit. Again, this can save you time and money. When a commercial air conditioning unit is rundown, not properly installed, clogged with debris, it needs to overwork in order to meet the temperature requirements for your building. This is reflected in your energy bill. You may not even be aware that you are spending extraordinary amounts of money just to keep a sick unit running. All the more reason to look at a replacement unit. Another area that impacts the lifespan of the unit are the operating conditions with which the unit has to work. Is it a rooftop unit? Then it is subject to soot and harsh weather. Is it an outdoor unit on the ground? Then it is likely to become clogged with debris. Once again, we are seeing a unit having to compensate for neglect and therefore must overwork. This reduces the lifespan of the unit and increases energy bills. 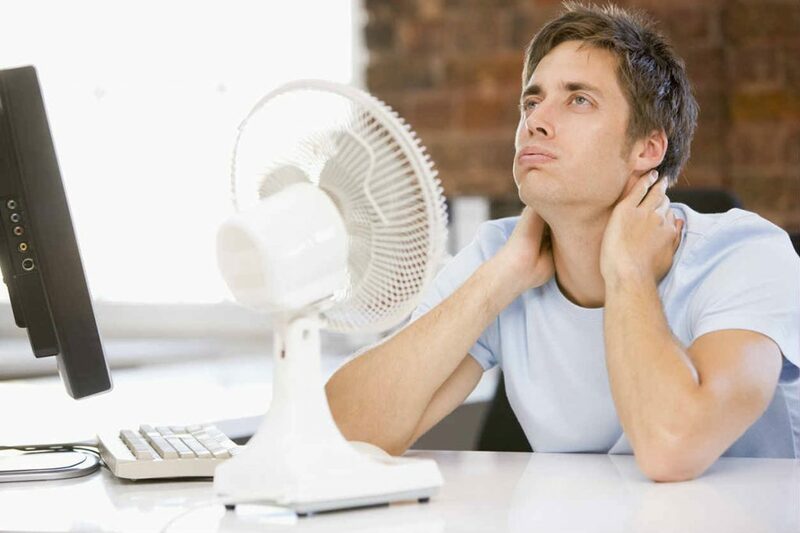 If you feel that your unit may be suffering from any of these conditions, the wise thing to do is to hire a professional commercial HVAC company to come in and do a full assessment of your unit. Springbank Mechanical is a Toronto Commercial HVAC company and is here to service your commercial unit and to give you the best advice when it comes to maintaining or replacing your air conditioner. Call Springbank today to book your appointment!